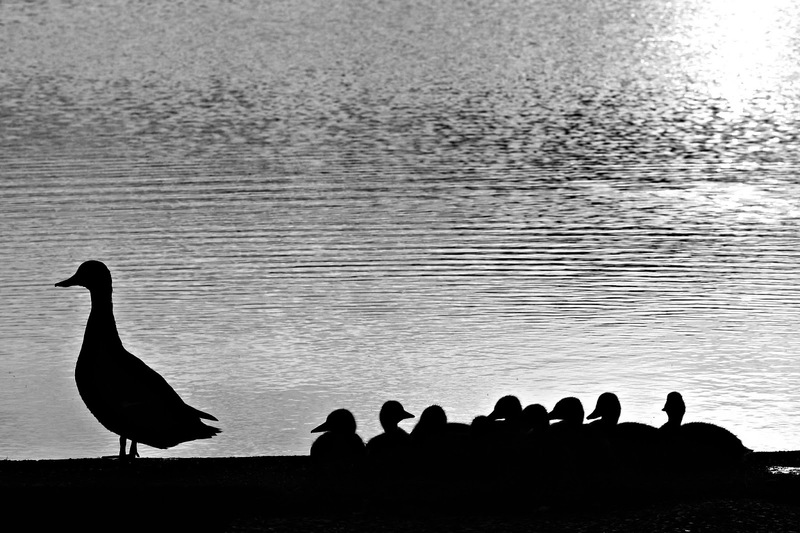 My Memory Art: Black & White Wednesday ~ Quack! 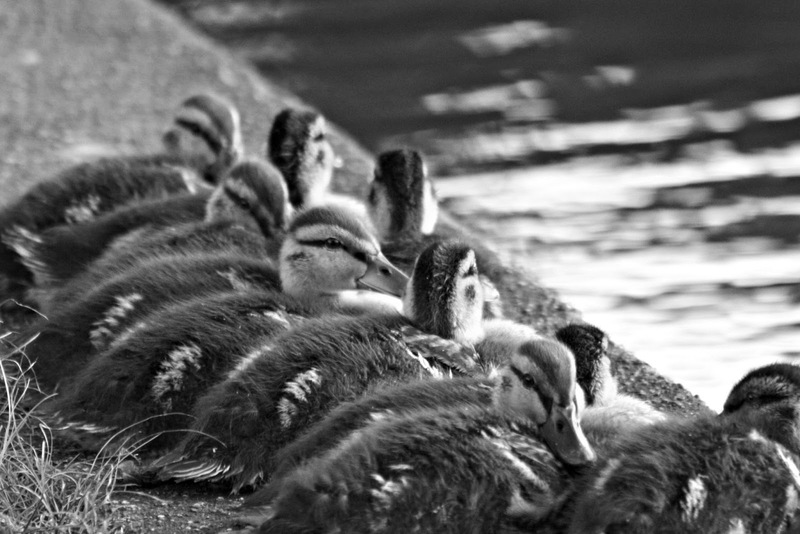 Black & White Wednesday ~ Quack! during my kids' young teen years. I'd come down stairs and find kids asleep on every couch, chair and floor pillow. I'd look around until I was sure mine were in the house. I knew they'd all be awake soon. was look the other way! Oh my gosh, such fluffy goodness! And your commentary...hilarious! Adrienne...I'm running out of SQUEES here! Wonderful pictures. Love your teen comments and the advice to look the other way as I will be entering those years soon. Soooo cute, love the ducklings. That silhouette pic is very nice. Such little beauties! Nice captured! Beautiful images, and I love the commentary. Near my house in NJ when I was little there were two duck families and we always waited to count the ducklings! Too cute! One thing I love about summer is having those crowds back in the house. If I count that first shot correctly, that Mama Duck has the same size brood as my mom had. Talk about out numbered! Da gibt es nur ein Wort dafür : entzückend ! Two is hard enough, I don't know how mothers who have a gaggle or a herd manage. Love the silhouette! My fav!! Great b&w shots of the bird..excellent! Sweet little duck family. I love the silhouette. Adrienne, these are beuatiful one's! Great shot and so cute.